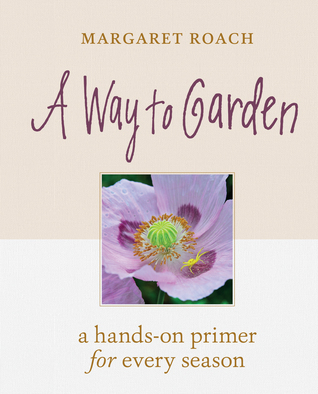 A Way to Garden by Margaret Roach is a revised edition of the earlier work from 1998. This book includes updated resources and web addresses. I love, love, love this book. I read it in a few days and just basked in the author's beautiful use of language and glorious accompanying photographs. 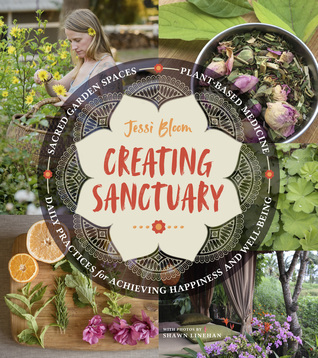 The book is written in bi-monthly chunks that gardeners can use to plan, guide, or just enjoy. I would recommend reading it in sections rather than in a day or two as there is so much wonderful advice to implement throughout the year. Although the author's garden is expansive and located in the northeast, I am able to apply much of her wisdom in my PNW postage stamp garden. I would give this book 10 stars out of 5. It is a must have. I received this eARC from #netgalley and #timberpress for an unbiased review. by Georgina Reid was an interesting read, but not what I was anticipating. More gardener biography/essay/philosophy than gardening and plants. Also, most gardens were in Australia, a few were in New Zealand or California. Definitely not my home climate, but interesting. The essays focused on different types of gardens and the gardeners who created them. Each with a different mission or purpose and a very different result. Gardens included: indoor, urban, rental, massive, and air. The gardeners themselves had interesting stories and reasons for creating their particular garden. Those interests ranged from music, urban renewal, health, insect habitat, family traditions to heirloom seeds and more. There is an "Earth Mother" take on gardening evident in this book that feels a bit preachy at times, but I think anytime we reflect on why we embrace a passion, we tend to wax evangelical in our narrative. The quotes at the beginning of the book leave no doubt as to where the reader is headed, so if the reader is surprised by the content, oh well. 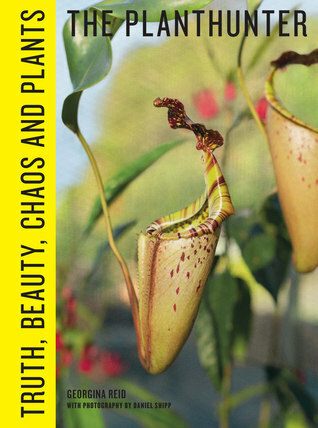 For me, the takeaway of the book is, "Why does one garden?" Reading the philosophies of others has lead me to think about my own purpose for gardening. I hope this defined purpose will result in a more cohesive garden and maybe fewer plant/landscape mistakes. This may be the most expensive book I have ever read....it made me want to sell my house and buy a new one with a much bigger yard so I could create many of the spaces from the book! This book is broad in its scope. It includes; sacred spaces, plant-based medicine, daily practices to achieve happiness and well being to name a few. Each of these topics is thoughtfully presented; not just a brief overview, but nicely detailed. The author also provides information about medicinal plants, salves, teas, bath soaks, and more. Her advice on self-care and creating daily practices and rituals is very inspirational. One part that was a bit vague was the caveat about plant toxicity in higher doses. When recommending teas and tinctures, more specificity on toxicity would be helpful. The photographs and illustrations are lovely. This is 238 pages of bliss! Thank you to NetGalley and Timber Press for the eARC for my unbiased review. 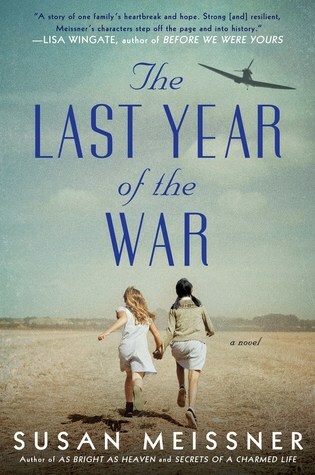 The Last Year of the War by Susan Meissner was an enjoyable read about Elise Sontag, a young German-American teenager whose family is sent to an internment camp during WWII. I have read many internment camp books about Japanese-Americans, but this is a first. At the camp, Elise befriends Mariko, a Japanese-American from L.A. Their friendship helps them cope with the challenges of being taken from all they knew and having to adapt to life in confinement and the effects on the members of the family. The book respectfully shares the cultural differences and the shared experience. Meissner's telling of the story brings many new details I had not know before about life in the interment camps. The story is told from Elise's perspective which makes it appropriate for young adults, while it is still interesting for adult readers. I strongly recommend this book. Thank you to #netgalley and #berkleypublishinggroup for an eARC in exchange for providing an unbiased review. Have you ever wondered how people end up joining extremist religious cults? How are they drawn in and why do they stay? What is life really like? During a visit to the Newseum in New York City, author Will Hill, discovers a wall of newspapers covering the story of the 1993 U.S. Government 'raid on the Branch Davidian compound led by David Koresh (commonly known as the Waco siege). Hill's interest in this siege and in-depth research resulted in this well-written novel. As he mentions in the epilogue, this story is not about the Waco siege as he wanted to protect and not exploit the trauma of the survivors, but it does serve as a framework for this novel. After the Fire is told by a 17-year old survivor as she recovers from her injuries and is questioned and counseled after surviving a raid on the Lord's Legion compound where she was raised. We get to hear both her internal dialog as well as the story she relates to the officer and her counselor. At times, I questioned whether her intellect and insights were rather advanced given her captivity and limited exposure, but it didn't distract from the story. Her maturity made for a character who was engaging for adult readers without losing teen readers. This book will be devoured by both teens and adults. 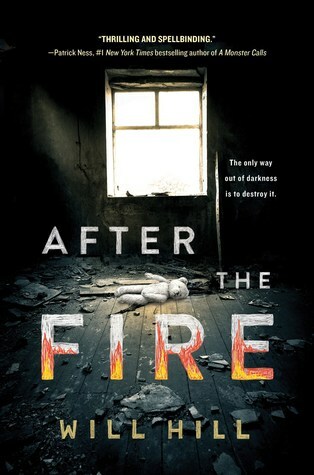 Her story is told in chapters of "Before" and "After" the fire. The changing time periods flow smoothly and add to the suspense of the story. There are many suspenseful chapters where I had to jump ahead a few paragraphs because I just couldn't get there fast enough - then I would go back a few paragraphs to read more carefully. My impatience, not the fault of the author! The author does an excellent job of showing the reader how cult leaders indoctrinate their followers without glorifying them. He helped me understand the thinking of the members of the Legion and how the children were programmed. I think it is important to note that this story was in no way offensive to one's religious beliefs as it showed how the "prophet" was in no way an adherent to biblical teachings. I highly recommend this book. I found myself thinking about the book days after completion and I was inspired to learn more. Kudos to the author. Thanks to #Sourcebooks and #Netgalley for a copy of the eARC in exchange for an unbiased review. The cover image and title grabbed my attention from the start. 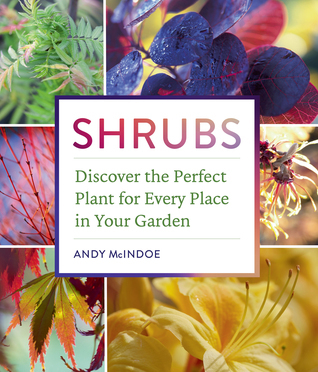 I don't know why shrubs never seem to be an exciting part of the garden. This book made me look at them in a whole new way. The introduction had excellent descriptions of zones and the factors affecting them including wind, slopes, and walls. As a long-time gardener, some of this was new information to me. The photography in the book is beautiful and each section is very detailed. The Library Book is one of the best books I have read in months! 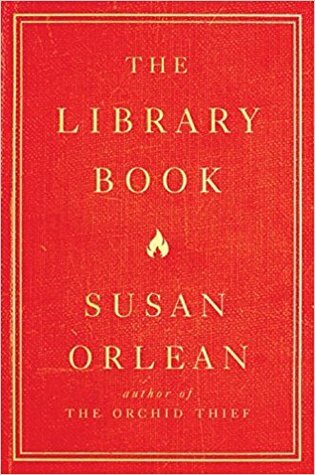 Susan Orlean's new book (release date 10/18) about the LA Public Library fire in 1986 is non-fiction that reads like fiction. I was working in a public library at the time of this fire and I never heard of it! Orlean's love of libraries coupled with her ability to tell a fascinating story make for a compelling read.The facts and figures are incredible. I'm glad my husband is patient, as every few pages I just had to share another tidbit I had just read. Beyond the facts and figures, the writing is excellent. I gave my Kindle highlight feature a workout while reading this. There were just so many lines I didn't want to forget. The fire is covered in Chapter 2. I wondered as I was reading, how is she going to fill an entire book about this and keep me hooked? Silly me, I should have known better. It is Susan Orlean...of course she will keep me hooked. One of my favorite book-nerdy features was how she used book titles and call numbers to introduce each chapter. Clever. This is a must-purchase for public libraries, high-school libraries, and any book groups who enjoy literary non-fiction. It begs discussion! Thank you #NetGalley and Simon & Schuster for the ARC ebook for my unbiased review. I think Gone Girl has ruined my for psychological thrillers. From the beginning of this book, I doubted the wife's story. (After all, the title is Lies, right?) I had no patience with the naivete of the husband. I knew where the book would be heading so I skimmed and finally skipped ahead to the end for the reveal. Disappointing. Thanks to #NetGalley and #MacmillanPublishers for an eARC for my unbiased review. I finished this book two months ago and am just now getting around to writing the review. That tells me something. The book is very well researched and is organized into four sections: motivation, discipline, outcomes, and objectivity. Each chapter provides a self-assessment and there are many activities designed for reflection and motivation. This is not meant to be read in one sitting. It is meant to be worked. Unfortunately, it did not inspire me to do the work.. Although the author gives many anecdotes along with tips, I didn't relate to it. To get the most out of this book, I recommend a print copy. A print format lends itself to revisiting key sections and notation. That is just how my brain works.. I am going to generously give it a 4-star rating, because I am accepting the fact that my lack of success and interest is probably my fault, not that of the author. Thank you to #NetGalley and #St.Martin'sPress for an eARC in return for my unbiased review. I love Fannie Flagg's books. She is my go-to author when I need a "fluffy" read that is folksy and has characters I can love or despise and laugh at - good naturedly of course.. This book was an absolute treat as it included many characters from most of her earlier works. It was fun to revisit them. I recommend reading her other books before reading this one. Her other books were more developed and had more sub-plots. This was not as well-rounded as her earlier books, but I still enjoyed it. A few years ago, I heard somewhere that Fannie Flagg had passed away. I was heart-broken. When this title was released, I thought it was a book that had been in process and was finished after her death. I am so relieved that Fannie is alive and well and I look forward to spending time in her world. Sometimes I need a "puppies and sunshine" book and she is the author I depend on to write it. Ms. Flagg, I am awaiting your next one! Thanks to #NetGalley and the publisher for providing this eARC for an unbiased review. 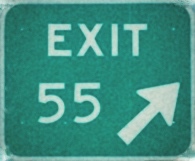 I began the first three weeks of my retirement by plowing through books 6,7, and 8. As each book in the series is at least 800 pages, this was quite a feat! Thankfully, the weather has been miserable, so I haven't felt too guilty spending time with Jamie and Claire in 1700s Scotland and America. After years of reading YA books for work, it has been a pleasure to read books for grown ups once again. These books are absorbing, well-researched and well-written, and they provide an escape into a fascinating time and place. Books 2 and 5 were not my favorites (with 5 being one where I skipped to the last third of the book), but the others were page-turners. I am looking forward to book nine, which hopefully will be published in 2018. What to do until then? Let me start by saying do not read this on a plane. Not that it has anything to do with flying, it’s just that when you start uncontrollably crying the flight attendants wonder about you. This was a fascinating story. The characters were very likable and believable, but I felt a bit of the story was lifted right from The Nightingale. The writing is not as rich as that in The Nightingale; in fact it feels a little more young adult in its depth and delivery. I thought it would be predictable, but it was not. It was an emotional journey and I’m glad I spent time in The Room on Rue Amelie. I received this as an advanced preview copy from Net Galley. I absolutely loved The Nightingale so I was excited to receive a preview copy of The Great Alone from Net Galley. I dived right into it and started enjoying the narrative and description of life in Alaska. It was fascinating and beautifully written. Kristin Hannah has a delightful way with words. Unfortunately something happened 2/3 of the way through the book and it started feeling more like young adult romance fiction. Some of it became predictable and it felt too wrapped up with a bow. I took a while to write this review because I still found myself debating whether Leni and her mother would have become that close after all they had been through and what happened to Matthew could have been avoided had Cora made different choices. Granted, had Cora made better choices, things would’ve been entirely different for everyone, but I understand domestic abuse in that era (and even today for that matter) is not exactly easy to prove or to escape, so I am still conflicted. 3.5 stars. I received an electronic copy of this book from the publisher through Net Galley for an unbiased review. This is my first Catherine Coulter book and overall I did enjoy it. It started out with a bang and kept on running. 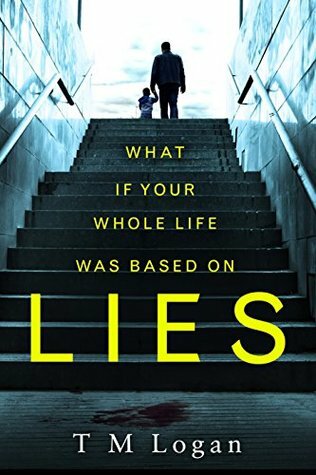 It was a page turner in that respect, but I felt the storylines were choppy and never really meshed until the very last page where the author summed it up in a rush. I prefer to have my multiple storylines tied together a little more through the plot rather than through a rushed explanations the very end. I didn’t realize that this was the 21st book in a series and maybe having read some of the earlier books would’ve helped me understand the connection with Sherlock and Savich. I felt the relationship with the new FBI agents was rushed and contrived. For a quick beach read, this book fit the bill. This book was an advanced reader copy from the publisher through NetGalley for an unbiased review. This story was written in two different time periods and tied together beautifully. The characters were strong and nuanced and you really wanted the best for them. At one point I felt the orphanage scenes were tropish and over-the-top, but then I learned that it’s partially based on a true story. That absolutely floored me and haunted me for days afterwards. This book reminded me quite a bit of Orphan Train, another historical fiction book that I fell in love with. I highly recommend this read. It was well written and I think it’s important to honor the memory of the children who went through these horrors by spending some time in their shoes. I’ll be reading more books by this author. Well done.